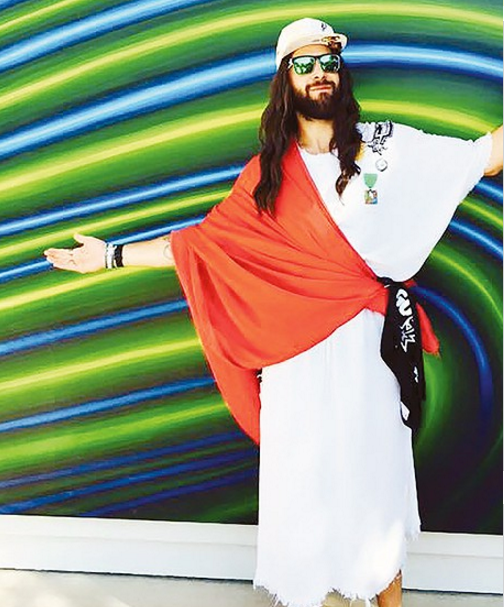 > A fixture at Spurs games since 2010, Spurs Jesus has taken hoops fandom to the next level. Known for his trademark flowing hair, chanclas and red sash, Spurs Jesus has translated his love for the Silver and Black to bringing awareness to a host of area charities, including Child Advocates San Antonio, St. PJ's Children's Home and the San Antonio AIDS Foundation, among others. It's been a great season for Spurs Jesus, who got engaged in September, was recently honored with a namesake Sriracha-infused hot dog at Pugels and plans to launch his Four Quarters Foundation to support local causes later this month. Spurs Jesus secured his place as an Alamo City public figure over the summer, when he chased a would-be burglar from his former home in Southtown down to the San Antonio River, where the perp was eventually apprehended by SAPD. In other words, don't mess with Spurs Jesus.